We are a one of the leading manufacturers in the field of various coding/marking inks and coding/ batch-printing systems. Our company, “Process Instrumentation And Controls”, popularly known as PIC is today one of the market leaders in coding/marking inks, batch-printing systems and contact coder machines for marking of statutory/variable information on packaged goods such as : Batch No., Date Of Mfg., Expiry Date, PKD NO., Lot Number, M.R.P., etc. Cosmetics and scores of other industries. We are proud to have over 850 clients in India and are also exporting to a dozen overseas destinations as well. 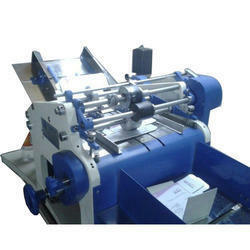 P.I.C batch-printing machines and coders are of topmost quality, durability and offers best value for money. 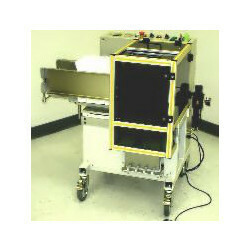 Our marking/coding systems are designed with utmost practicality to solve typical customer coding needs. With help of our diligent and dexterous professionals, we are offering a comprehensive range of superior-grade Industrial Pouch Loading Machine. The offered range of machines is fabricated using premium quality raw material and components that are procured from the most trusted and reliable vendors of the market. Owing to their trouble-free performance and longer functional life, these machines are widely in plastic industries for making pouches. (3) The filling precision of each or whole filling nozzles can be adjusted. (4) The surface of machine is made of high quality stainless steel . (5) Anti-corrosive special valves of OMAL Italy, unique design of vacuum to avoid leaking. (6) Filling nozzles are made of titanium alloy stainless steel. (7) Safety design for no bottle, no filling. (8) Widely applicable in low viscous, strong corrosive, high foamy liquid. We fabricate and supply an exquisite range of Industrial Pouch Opening Machine that is catering to the needs of various clients in the packaging industry. These machines are renowned for their user friendly, low maintenance, precision sealing and durability features across our clients. Looking for Industrial Pouch Label Carton Coding Printer ?